‘Food for thought’ is an installation that focuses on the impact of the production of food on our climate. Most agricultural processes involve large usage of water, pesticides etc. that have a contaminating effect on our climate. But especially the production process of meat is polluting. According to the FAO (Food and Agriculture Organisation),‘the livestock sector is a major stressor on many ecosystems and on the planet as a whole. Globally it’s one of the largest sources of greenhouse gases and one of the leading causal factors in the loss of biodiversity’. With this installation, I want to show people the impact food production has on our planet and our country. 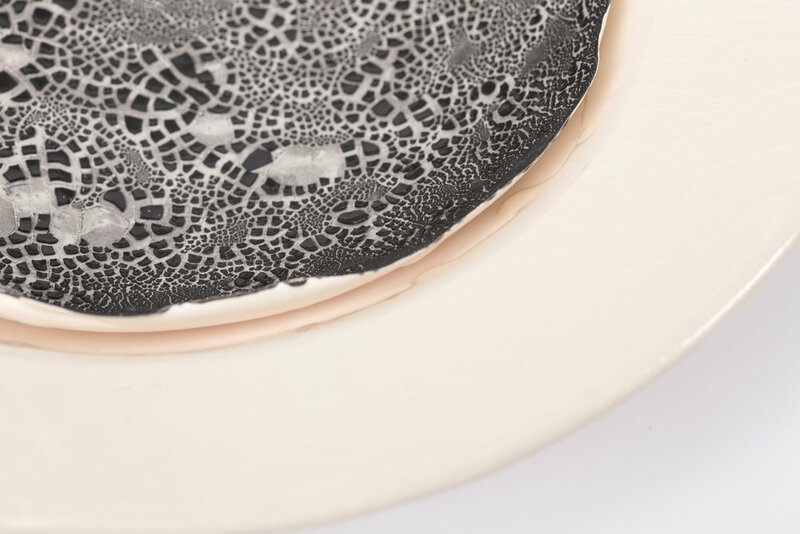 The installation consists of a set of plates that shows the impact climate change, and particularly the melting of the ice caps has on North-Western Europe. One plate shows the Netherlands and Belgium (the so-called ‘low lands’), and after pouring soup into the plate, you’ll see what will remain of it once the sea level rises. Another plate focuses on the drought and a third one shows the flooding of rivers that can cause huge landslides. 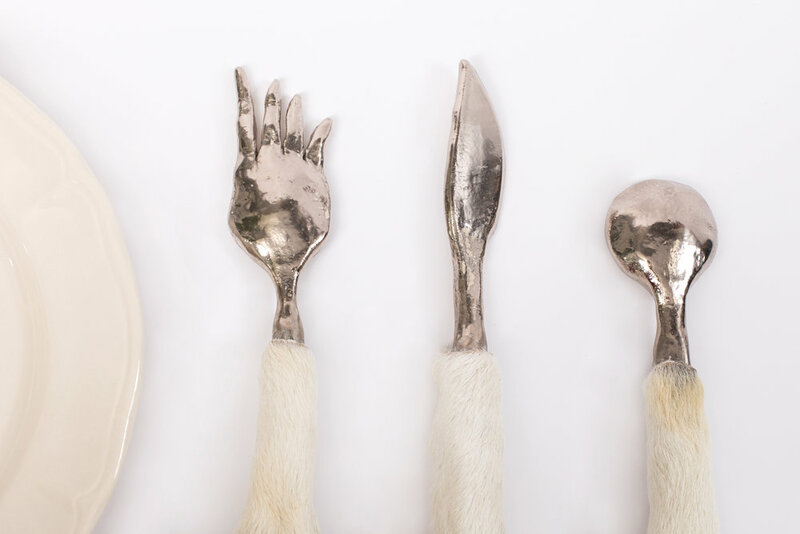 The installation further shows a set of cutlery made from ceramics with real animal feet. People tend to eat meat, not knowing what kind of animal was slaughtered for it, thinking it was produced in a factory. With the cutlery, I want to make people aware of what they are really eating.